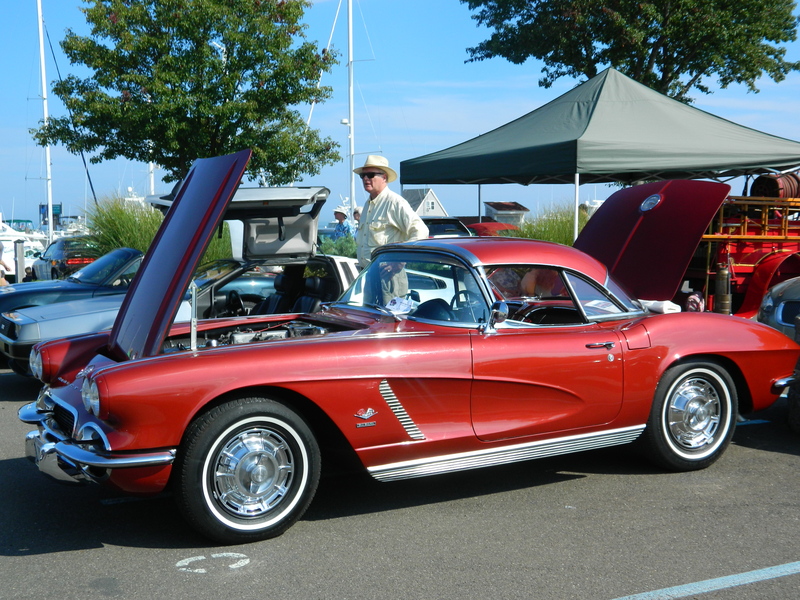 Photo by Jacqueline Bennett 6th Annual Labor Day Car Show at the Saybrook Point Inn & Spa. 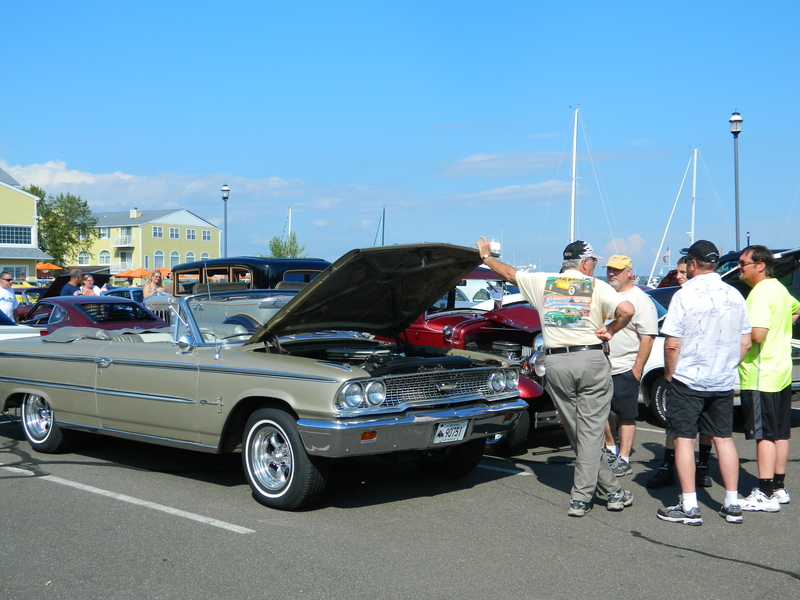 Over the Labor Day Weekend I stumbled upon the 6th Annual Labor Day Car Show at the Saybrook Point Inn & Spa in Old Saybrook, Connecticut. 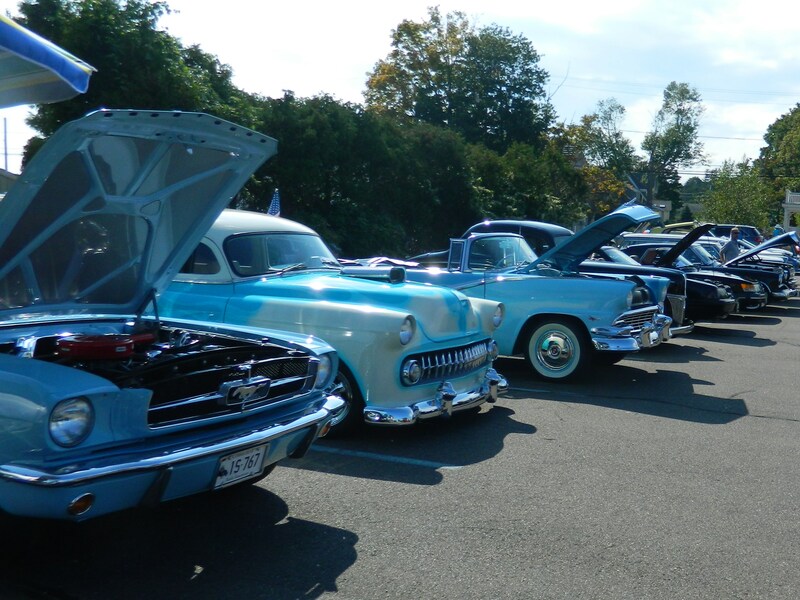 Having reported on many a car show in the Greater Hartford area, including my favorite – Wednesday night Cruise Nights at Bart’s Drive-In in Windsor – I was curious to see if I spotted any familiar vehicles. Admission was free as I strolled through the Old Saybrook event. Participants paid a $10 registration fee. 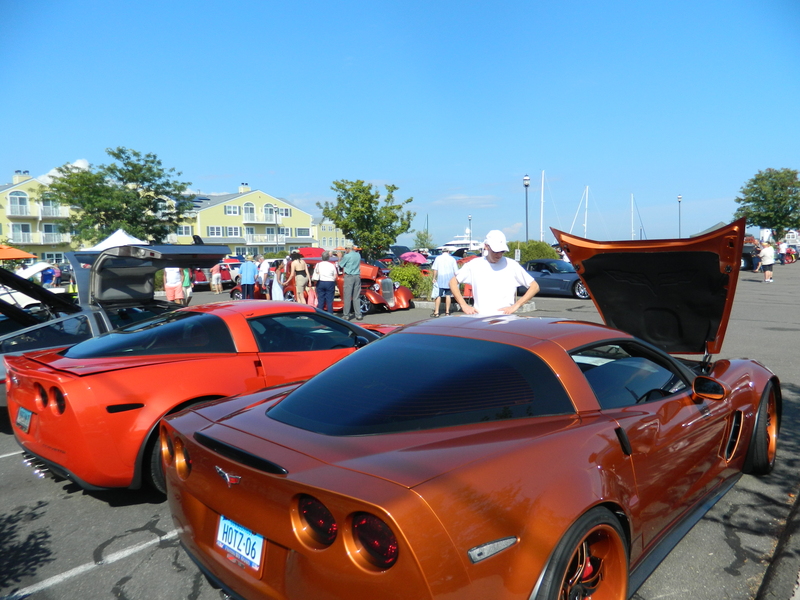 Corvettes – need I say more. As far as I could tell I had not seen these entries before. 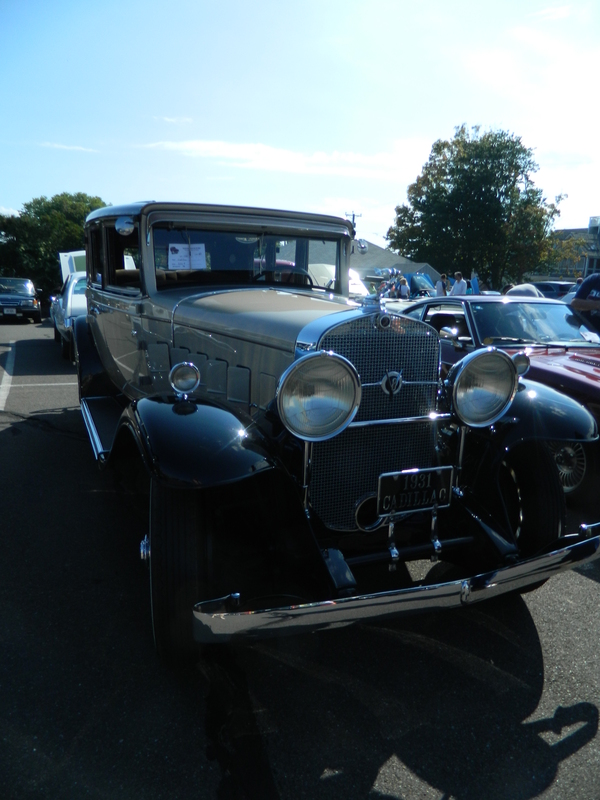 Classics, rods, antiques and a ‘your car’ category were all part of the show. 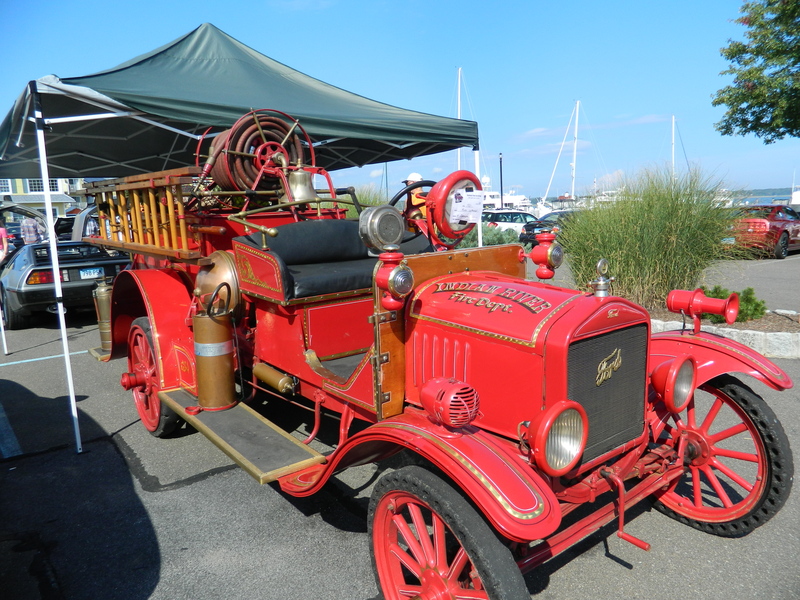 And, just as with ones in Greater Hartford these vehicles were stunning-looking and meticulously maintained – there was even an antique firetruck. 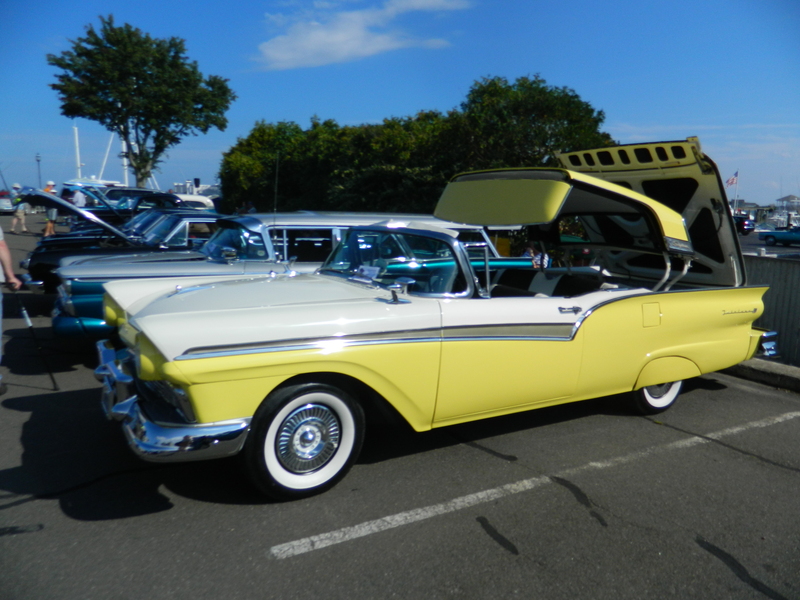 Of course, the backdrop was beautiful, a view of the Saybrook Point Marina and the Connecticut River as it makes it way into Long Island Sound, as well as, exquisite boats either docked or on the move through the water. 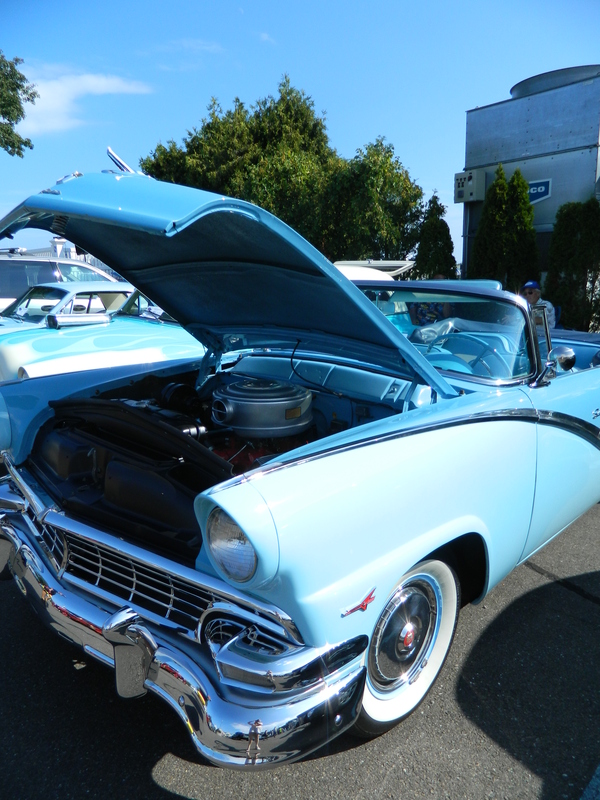 A live band, The Cartells, performed from the inn’s tavern where People’s Choice trophy winners were announced during a pause from the music, that was piped outside into the parking area for the car show. Not a bad way to spend part of a Labor Day Monday.